I truly feel like I am "HOME" here. There's a quality of familiar and recognition I feel. I don't have exact words for it (in either language! ), but it's a palpable feeling. I was sunning by the river on Tuesday, when some folks who were walking by, stopped and said "¡Hola! ¿Que tal?" They sat down with me, and we proceeded to chat for a couple HOURS! The Spanish was flying fast, which was pretty challenging, but I was able to keep up. There is virtually NO English spoken. 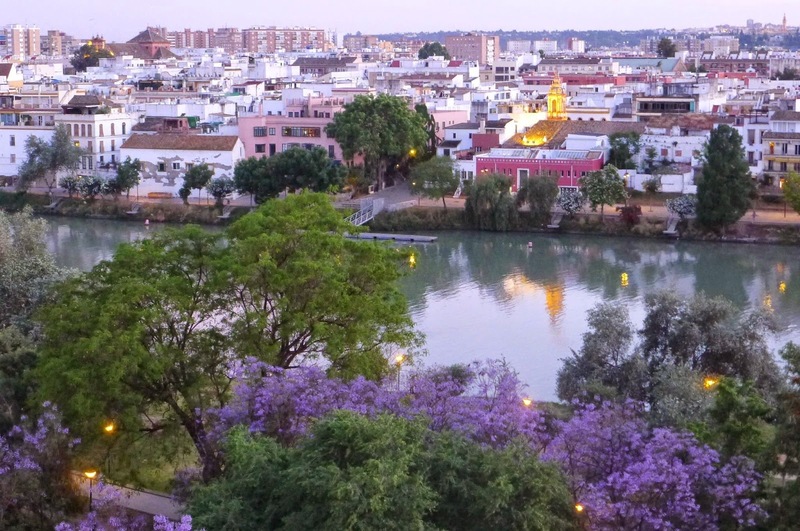 While there are lots of tourists in Sevilla, a large portion of them are from Spain. Sure, there are plenty of American and other English-speaking tourists, and so, the shop owners, and wait staff at restaurants and bars, can speak some English, but as soon as they hear me speak Spanish, that's it! The "Mexicanish" I've become so accustomed to, and have been speaking the last 14 years, is far from the Spanish spoken here in Spain. I was raised hearing and speaking "Spain-Spanish" so it's coming back, but sheesh! "Use it or lose it" ain't no joke! People are genuinely friendly, open and generous with their time. 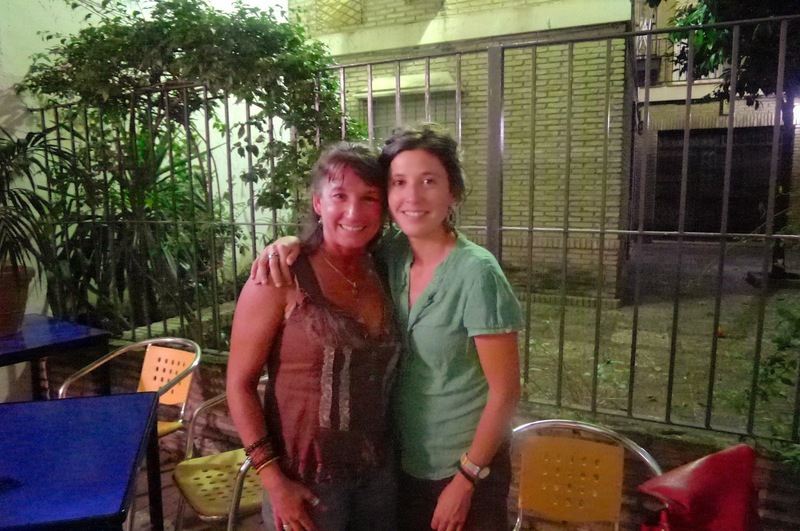 A few nights ago, I met with another new amiga, Alicia, who is Javier's novia (girlfriend). Javier is studying in the U.S. for the summer on a grant, and will be living in my house in June. 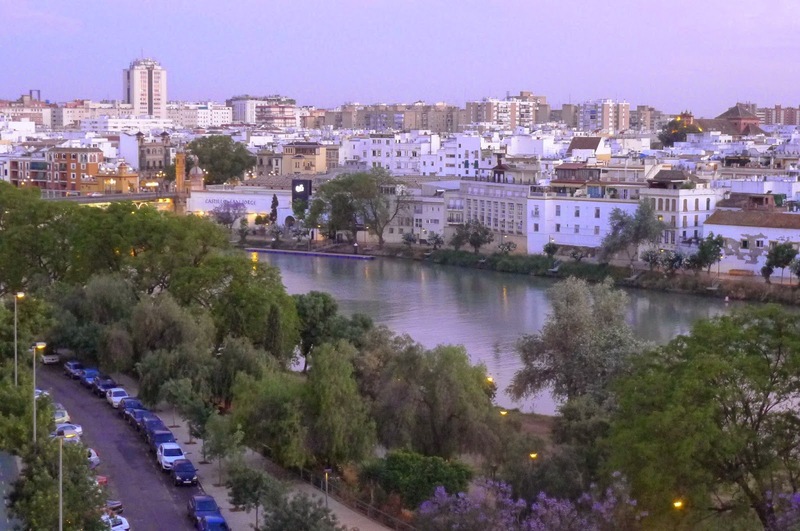 So, Alicia contacted me and offered to meet me and show me around Sevilla. How sweet! And she is just that! I thought I had pretty much covered the city a dozen times, but I got the best treat -- a walking tour through the eyes of a local. Alicia took me off the beaten path and showed me historic buildings that I had not yet seen. Of great significance to me, was the el Barrio de La Judería (what used to be the Jewish Quarter centuries ago). After our walking tour, Alicia took me to one of her favorite restaurants and we shared dishes I had not yet tried. Authentic and delicious!! The weather has been lovely. Perfect spring-like temperatures (mid-to-high 70sºF / ~24º-26ºC) and sunny! Yesterday, though, it rained for a bit, and then the skies cleared and the sun shone until it set. I took advantage of the rainy-day opportunity to pay bills, and get caught up on other such "stuff" while I watched Spanish soap operas. LOL!! Sounds silly, but it's a great way to practice Español. When the skies cleared, I had a lovely run along the river-walk in the evening. I must confess it feels good to be among lots of peeps who "look like me," although, there is not necessarily a single "look" here. The Spaniards are as varied-looking as we Americans are. Alicia says I look like a local. ...And I sense a very deep and solid level of "live-and-let-live" among folks here, a seeming lack of judgment or tension about all the varied lifestyles. Incidentally, I sent my gluten allergy on vacation as well (not here). I've been drinking beer, eating bread and other "forbidden foods," and so far, so good. Speaking of allergies, though, the pollen / plant / hey-fever symptoms are as alive and well here as they were in the Bay Area. I'm not "suffering," but it's just annoying enough to be taking allergy relief stuff. Photos of Alicia and a few pics from the roof of my building ... More photos on FB! ¡Karaoke, Caracoles, Rafting, y Mucho Más!